Clear color. Confected, tropical aromas of guava, mango, sweet pears, plantain, and grape runts with a velvety, crisp, dry-yet-fruity light body and a smooth, subtle, medium-long kaffir lime leaf, cherry pits, sweet ginger, lily, and chocolate genache finish. A flavor-packed brandy that will be superb in all manner of classic cocktails; a must-try. 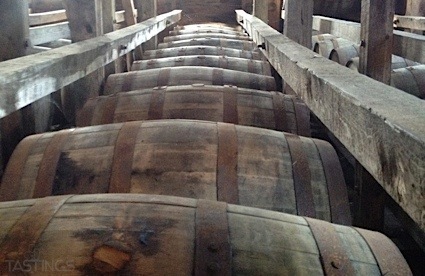 Bottom Line: A flavor-packed brandy that will be superb in all manner of classic cocktails; a must-try. 85 • Wayne Gretzky No. 99 Red Cask Canadian Whisky 40% (Canada) $27.00. 90 • Wayne Gretzky No. 99 Ice Cask Canadian Whisky 41.5% (Canada) $46.30. 88 • Wayne Gretzky No. 99 Ninety Nine Proof Canadian Whisky 49.5% (Canada) $76.40. 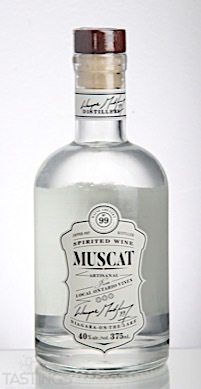 92 • Wayne Gretzky Spirited Wine Muscat Brandy 40% (Canada) $23.50. 86 • Wayne Gretzky Spirited Wine Vidal Blanc Brandy 40% (Canada) $23.50. Clear brandy is a category that encompasses unaged grape brandies that do not fit in well-known classifications such as eau-de-vie, pisco, or slivovitz. These are often regional specialties like Rakia or Singani with a fruity character that is not diluted by wood aging. Most of these are meant for cocktails, like Pisco Sours, but the finest can be served neat. Wayne Gretzky Spirited Wine Muscat Brandy rating was calculated by tastings.com to be 92 points out of 100 on 11/8/2017. Please note that MSRP may have changed since the date of our review.